Hyderabad (Indian city) is all set to host the Street art festival, where artists from all around the world can come and exhibit their creativity. This is the first time in Indian history, such a large scale Street art festival is being conducted. 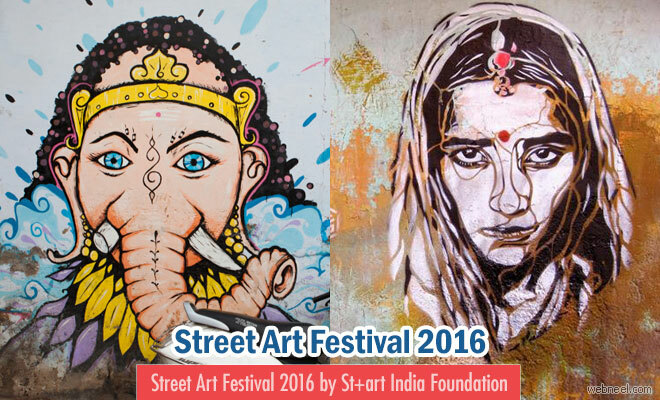 “From November 1 to 12th, 2016, St-artindia, art@telangana, and Kalakriti Art Gallery are collaborating to host a street art festival where artists from across the world and the State will choose and execute their work at select locations,” said B.V. Papa Rao, trustee of art@telangana. This exhibition will bring out the hidden talent in Hyderabad. Telangana artists can send in their work to the organisers and based on their portfolio they will get chosen for the exhibition. You can also get in touch with Kalakroti Art Gallery for more information.